I was recently interviewed by Keith Packer for the Song Books segment of Future Radio’s Platform programme. We talked about Scott Walker, the relationship between music and writing, the Unthank School and my two new projects, The North Surrey Gigantopithecus and How to Disappear. You can listen to the interview here. It starts around the four-minute mark. 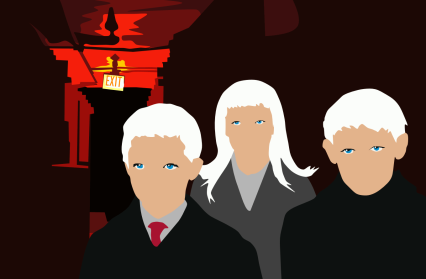 Here’s me talking to Dan Malakin about Unthology and who rules the world on his blog. You can read Dan’s robot butler story ‘I, Crasbo’ in Unthology 8, out today. There’s a little piece by me on how to workshop creative writing on the Unthank School blog. Very pleased to have a new story, FIXATOR, in The Lonely Crowd Issue 3, alongside other stories by top writing friends Jane Roberts, Ruby Cowling, Gary Budden, Tania Hershman and a host more. There’s also an essay by me, “Some of this is true, some of it embellished: Writing Fixator‘ on The Lonely Crowd blog. 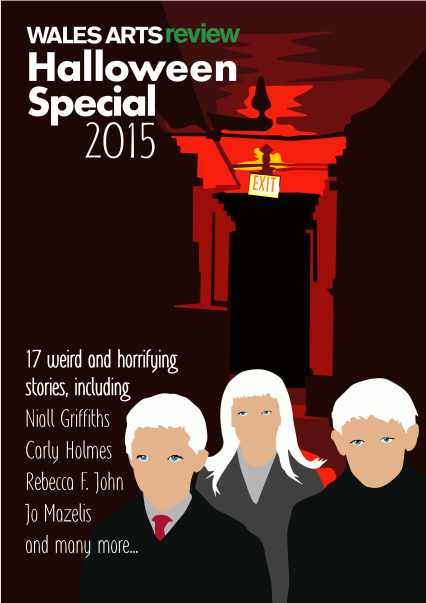 I am very excited to have a horror story in Wales Arts Review’s Halloween Special 2015, along with top writing friends Dan Coxon, Jane Roberts, Dan Powell, Angela Readman, Gary Raymond and loads of other brilliant people. The Unthank School of Writing is now taking registrations for creative writing evening classes in Norwich. All courses will kick off on the week starting January 11th. Whatever stage you’re at, just starting out, or working on a long-term project, whether you’re a novelist or short story writer or want to write for film and TV, we have the expertise to help you grow your stories and hone your craft. We offer ten-week introductory courses and practical workshops for people with work in progress. We respond to what you want to achieve, whatever your form, genre or subject. Our classes offer the depth of university courses at a fraction of the cost but are taught in a friendly, convivial atmosphere. There’s plenty of opportunity to socialise and become part of the wider Unthank community that includes book publishing and live events. We’ll be launching two books and hosting two Project U events during this session in addition to our yearly collaboration with Words and Women. Using group discussion, readings, viewings and practical exercises, you will learn the basic mechanics of writing a script for TV and find out how to get into TV writing with Lilie Ferrari, former chief script editor and writer for East Enders. Using a mixture of readings, practical exercises and discussion, participants in this writing workshop learn all about the basics of writing compelling and publishable fiction with Sarah Bower, author of Needle in the Blood, Erosion and other novels. An Unthank School specialty, these advanced creative writing groups are a good option for writers who have completed an introductory course but who now want to experiment further and work on their own stories or projects under the aegis of Ashley Stokes, author of Touching the Starfish and The Syllabus of Errors and editor of the Unthology series. Learning from examples and discussion, Writing the Novel is perfect for those seeking a more sustained course designed to help them settle on a novel idea and produce a first draft. Includes an in-depth assessment of 10,000 words of a novel. Just visit your course’s page. You can sign up directly from there simply and easily.